Customers can easily take a Tesla Model S when they arrive at Sofia Airport or to make a reservation in advance at the other 14 company offices in Bulgaria. Photo courtesy of Top Rent A Car. Bulgaria's Top Rent A Car is now offering customers the Tesla Model S rentals. The luxury electric class is available for bookings as all other vehicles in the fleet. 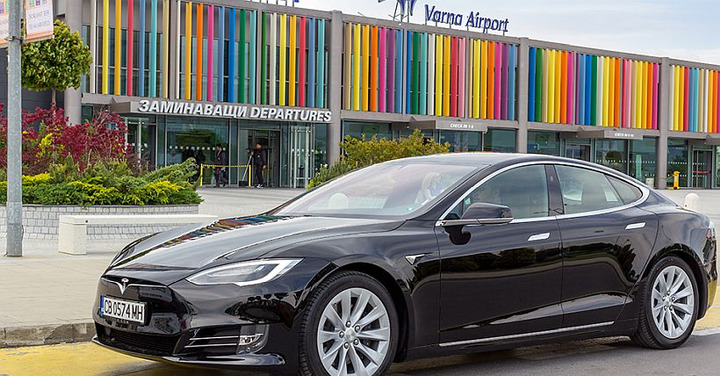 Customers can easily take a Tesla Model S when they arrive at Sofia Airport or to make a reservation in advance at the other 14 company offices in Bulgaria. Expect all other advantages hiring a Tesla promises, such as a free parking space in the central part of the big cities and the chance to use charging stations of some shopping centers. It is also a very appropriate way to test the on-road vehicle behavior if customers are looking into buying a Tesla. 2018 was a successful year for Top Rent A Car, which retains a sustainability leadership position. Adding more popular brands to the fleet, keeping a larger number of the cars for the whole year, and enhancing its presence on the South Black Sea coast and in Plovdiv are other achievements of the company. Top Rent A Car to its first step toward an electric vehicle fleet in 2015 when the company added 10 electric Renault Twizy to its fleet. In 2017, Top Rent A Car became a Bulgarian leader, as it was the first company to offer the Toyota Yaris Hybrid. It become the best seller in the economy automatic segment and customers trusted them not only for urban driving, but for long-distance travel as well. In 2018 Top Rent A Car increased the number of the hybrids. With the addition of the Teslas, Top Rent A Car is covering another open segment in the market — luxury electromobiles.